Train Ticket Offer To Book Tickets at Discount - FreeServiceHindi.com - Free Services in Hindi. 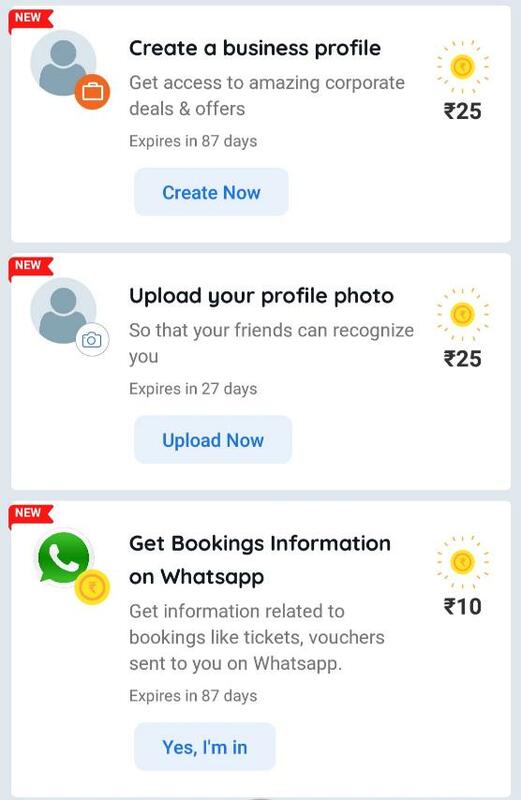 ये Train Ticket Offer है Goibibo के द्वारा, जिसमे अगर आप Goibibo App में Referral Code डालकर New Account Register करोगे तो आपको Rs.150 Referral Bonus + Rs.50 रुपये Contacts को Sync करने के लिए + Profile Picture Upload करने के लिए Rs.25 + Whatsapp में Booking Information पाने के लिए Rs.10 + अगर आप Business Profile Create करोगे तो Rs.25 रुपये (Not Necessary). How To Avail this Train Ticket Offer ? 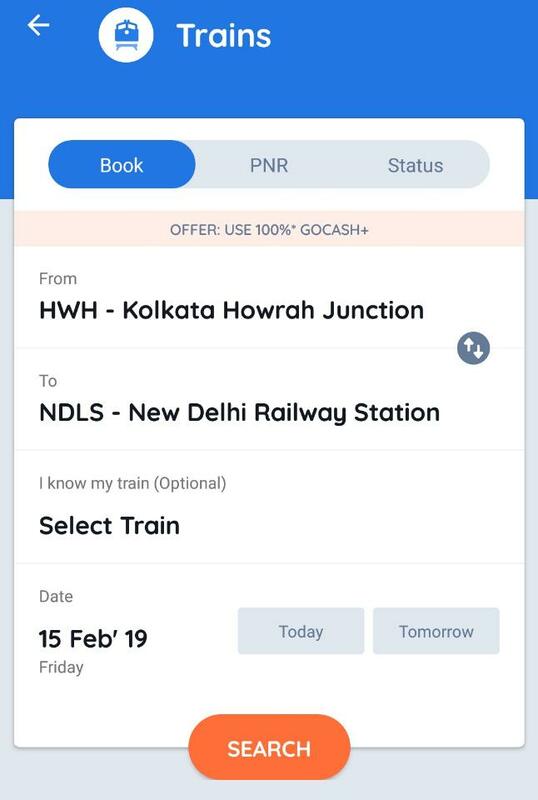 How To Book Train Ticket using Goibibo App to avail this Offer ? Unreserved General Train Ticket ki Online Booking kaise karein? Rs.50 cashback on Train Ticket Booking. Get Cashback on Train Ticket Booking. Rs.25 Cashback on Train Ticket Booking, four Times. Rs.100 Cashback on Online railway Ticket Booking. How To Pay IRCTC by Tez for train ticket Booking? IRCTC Contact Number for trains.